Maine has its first confirmed case of measles in 20 years this week, the state's Center for Disease Control and Prevention announced on Tuesday. Officials say that the case is related to recent travel, and are warning people who have visited certain areas in the towns of Kingfield and Farmington to remain on alert. 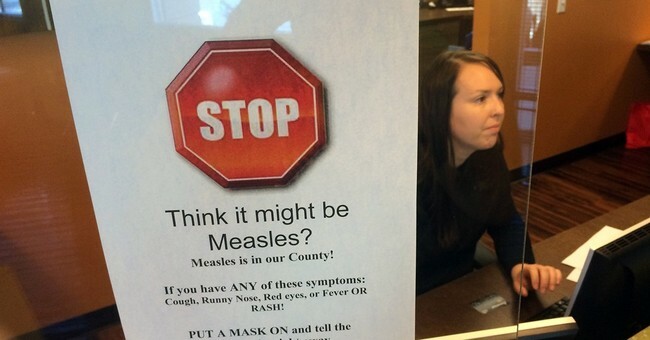 The last case of measles in the state was in 1997. The Maine CDC is further investigating the case. Measles is a vaccine-preventable illness that is recently experiencing a comeback in the United States due to parents opting to not get their children vaccinated. Until recently, Maine had one of the highest rates of unvaccinated kindergarteners (people who have cited non-medical reasons for not vaccinating), but now boasts one of the highest toddler vaccine rates in the country. Given these facts, a statewide outbreak is rather unlikely. Maine isn't the only place in the U.S. to have a case of measles. Minnesota is in the final stages of its largest measles outbreak in nearly 30 years, which saw 78 people sickened with the illness and thousands more exposed. The state's large Somalian population was "targeted with misinformation" about how vaccines cause autism, leading to a lower rate of vaccination in the community. The majority of the recent cases in Minnesota involved people of Somali descent. In California, which also has lower vaccination rates, an outbreak of the measles in 2015 was traced to someone who had visited Disneyland. That outbreak sickened nearly 200 people in 24 states, plus the District of Columbia, before it was contained. The vast majority of people who contracted measles in that outbreak were either unvaccinated or had not been fully vaccinated.